Born and raised in Commerce City, Dominick grew up going to public schools where he made valedictorian while working afternoons at the local Dairy Queen. Through scholarships and part-time jobs, Dominick attended Georgetown University and graduated with a degree in American Government. 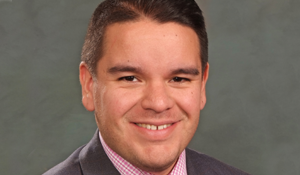 Dominick’s commitment to using his education to benefit his community led to his election to the city council in Commerce City at the age of 24. Dominick is committed to making sure hunger is not a learning disability in Colorado. He has successfully passed bills to require universal breakfast in all low-income schools and to help families pay for the cost of providing school meals for their children. Dominick was elected to the Colorado Senate in 2016. He previously served in the Colorado House of Representatives for two terms. He is a member of the Joint Budget Committee, a six-member committee charged with crafting the state budget each year.